Recruiting is a key skill that organizations must develop if they are to grow in a healthy manner. Sean shares with us the story of a community of practice with the goal of improving the recruitment process and results. Sean is an Enterprise Agile Coach with IHS Global. He has been involved with agile development for 8 years as a developer, product owner, and agile coach. 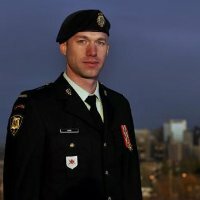 Prior to his exposure to agile development Sean spent 13 years in the Canadian Army. In fact, Sean is known to point out that the Army is far more agile than most people think. That background in the Canadian Army influenced his view of Leadership and the role of Leadership in creating and developing great teams. You can connect with Sean Dunn on LinkedIn, check out Sean Dunn on the Scrum Alliance or email him at sean.dunn@ihs.com. Check out Sean Dunn’s blog on leadership.